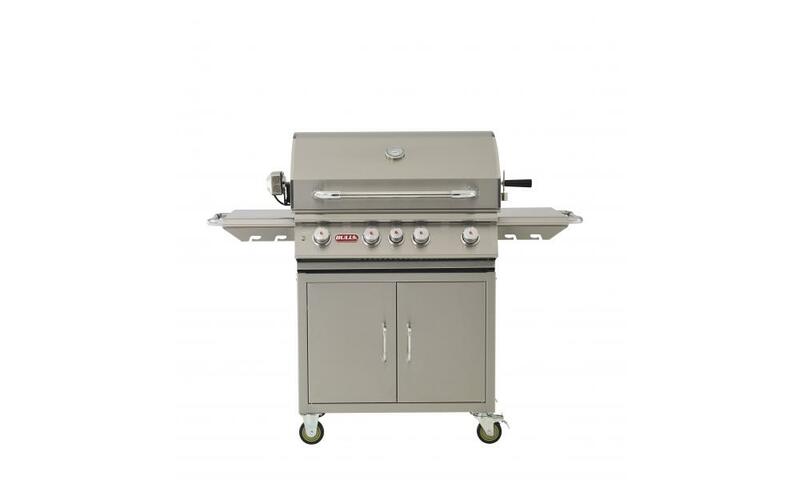 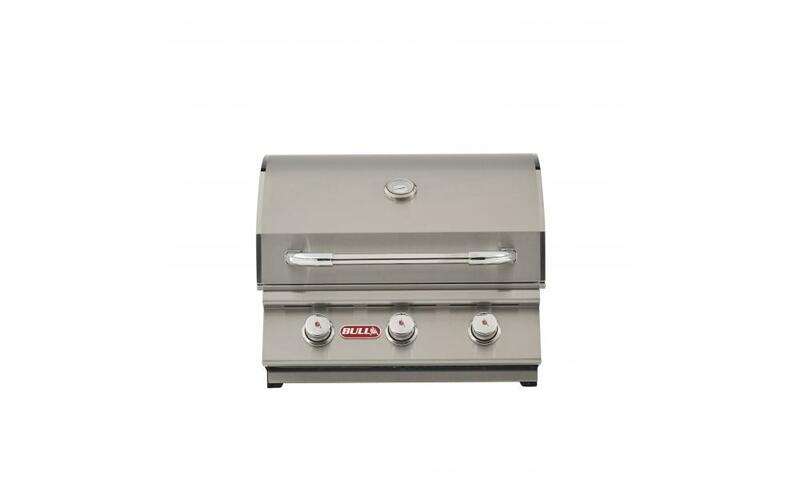 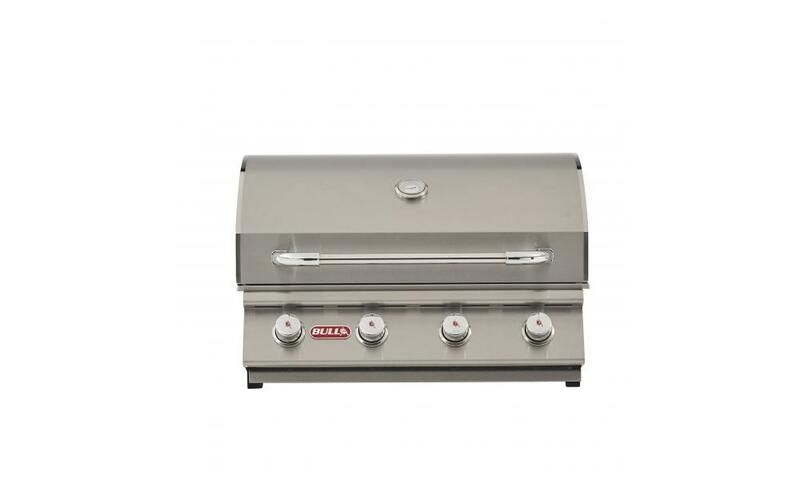 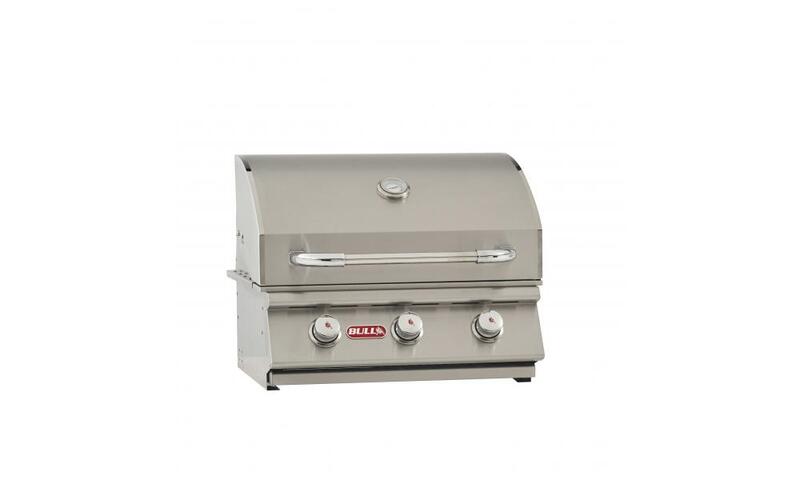 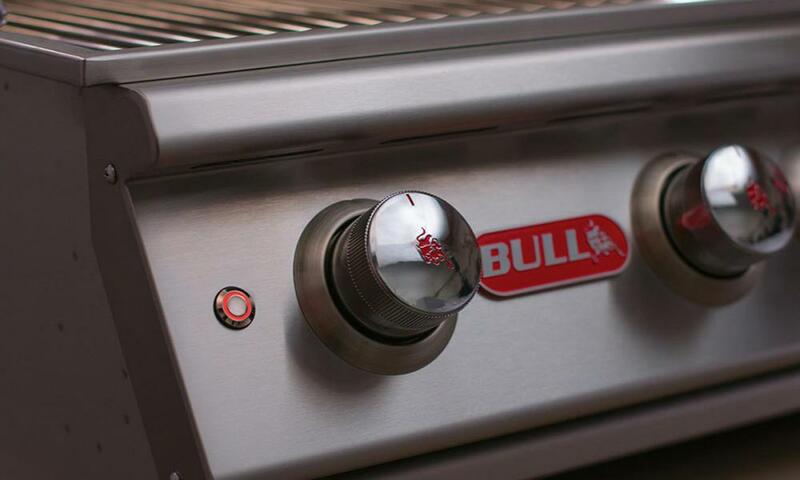 The Bull Angus natural gas grill is full of power and features to make your outdoor cooking experiences sizzle. 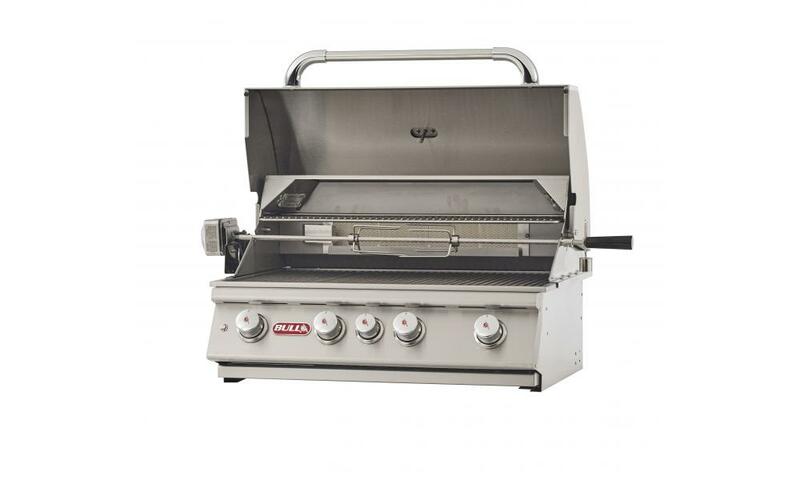 This grill offers a generous cooking surface with a total of 810 square inches (600 square-inch cooking area, 210 square-inch warming rack). 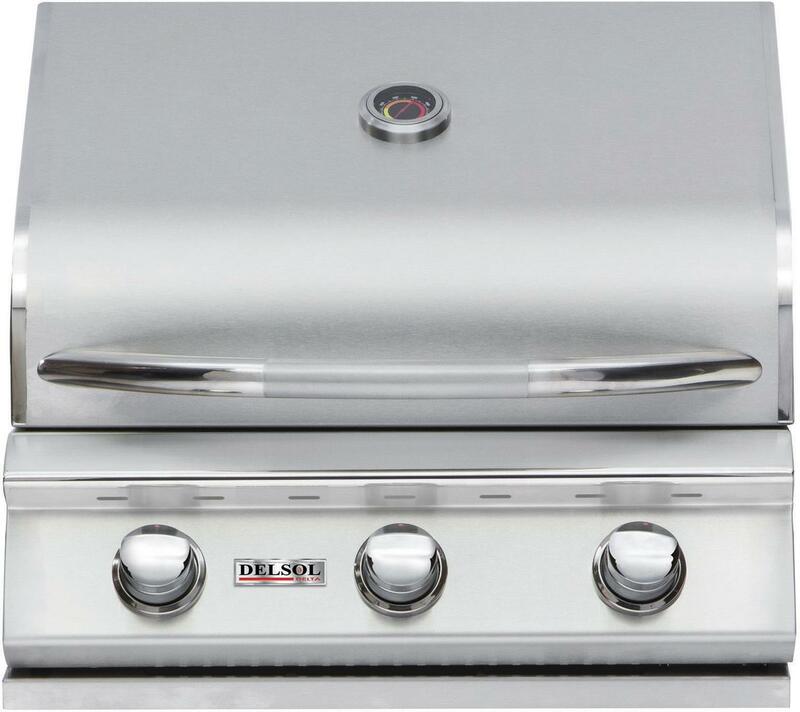 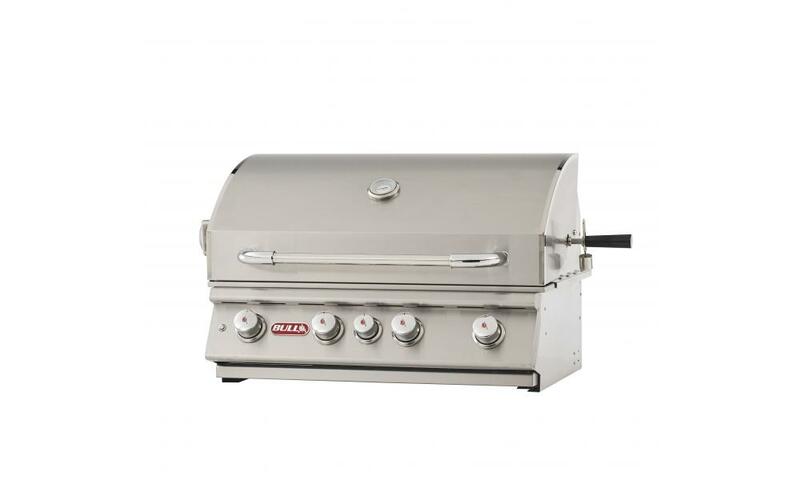 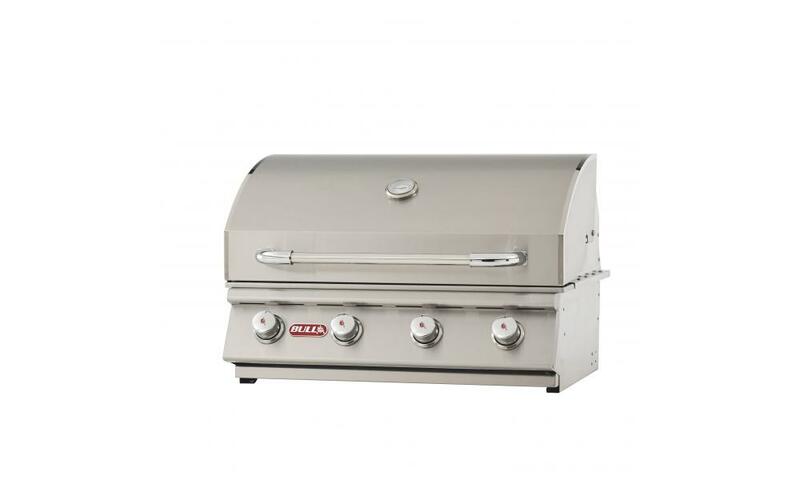 Plus, this grill boasts a sleek stainless steel design that will give your grill island and patio area a stunning update. 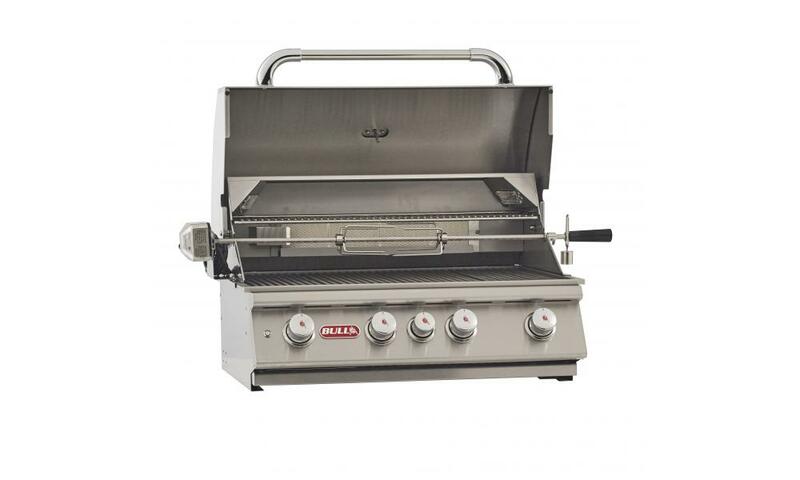 Complete your outdoor island with this grill and savor the joy of outdoor cooking like never before. 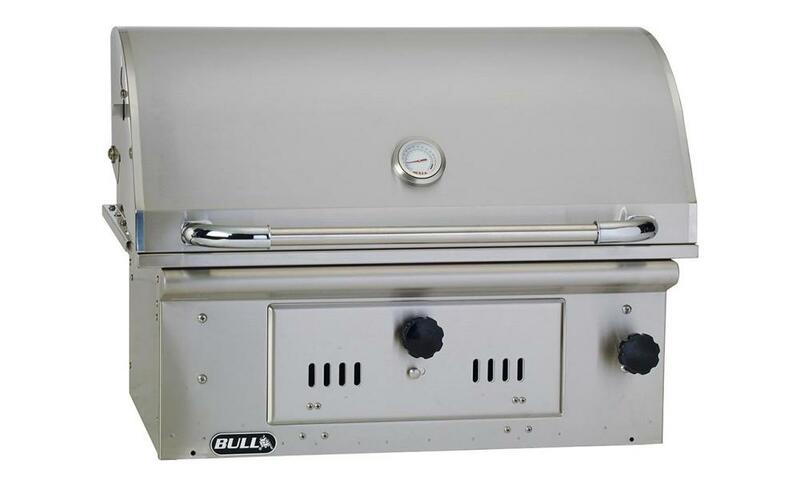 Complete your backyard deck, patio, or pool area with the Angus drop-in grill from Bull Outdoor Products, which is designed for use in outdoor grill islands. 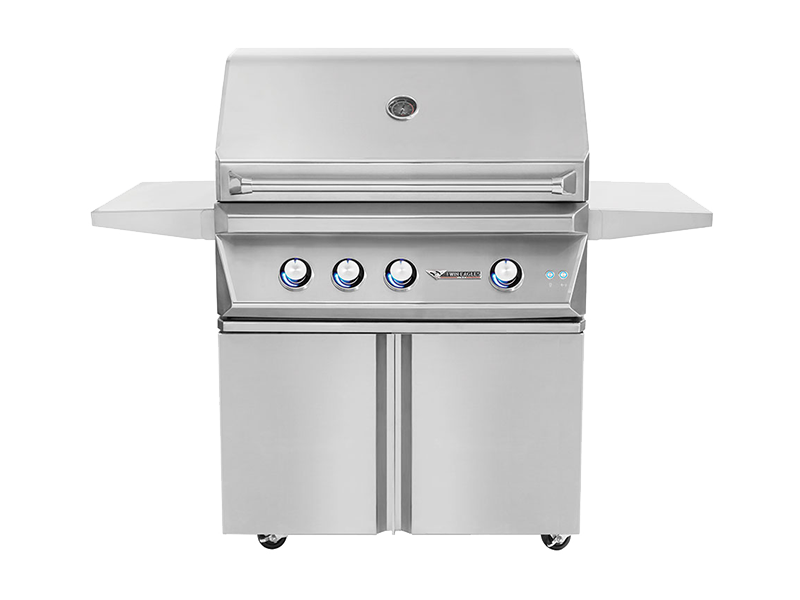 Full of power and features to optimize your outdoor cooking experience, the Angus has a sleek stainless steel design that will give your grill island and patio area a stunning update. 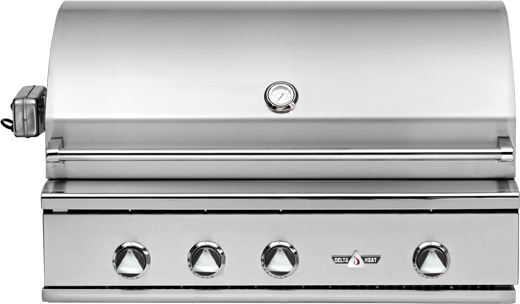 If you love living in your backyard or are considering changing your backyard into a living space, you’ll want a cooking area that gives you the most flexibility when cooking meals for family and guests. 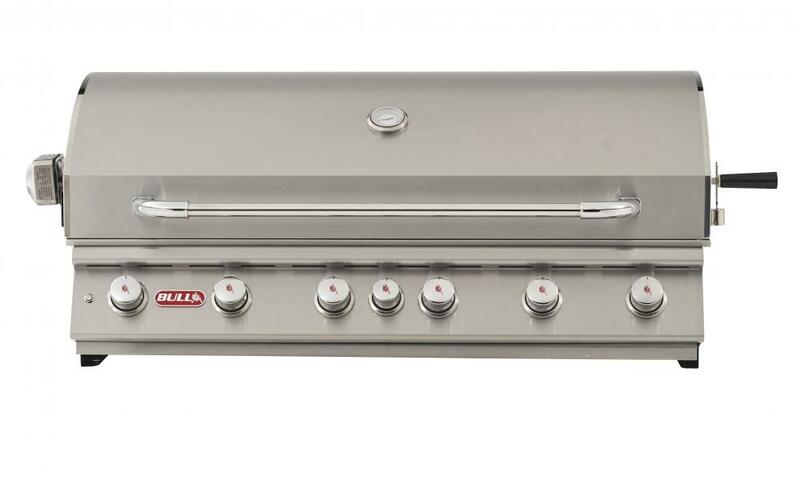 You can design and construct your own kitchen island (using the measurement specifications of this drop-in grill), or purchase a pre-built island from Bull Outdoor Products that’s made to fit this grill and have it delivered to your home. 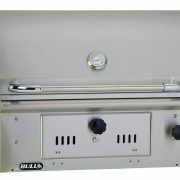 Bull outdoor grills are designed, engineered, and master crafted with the finest materials available. 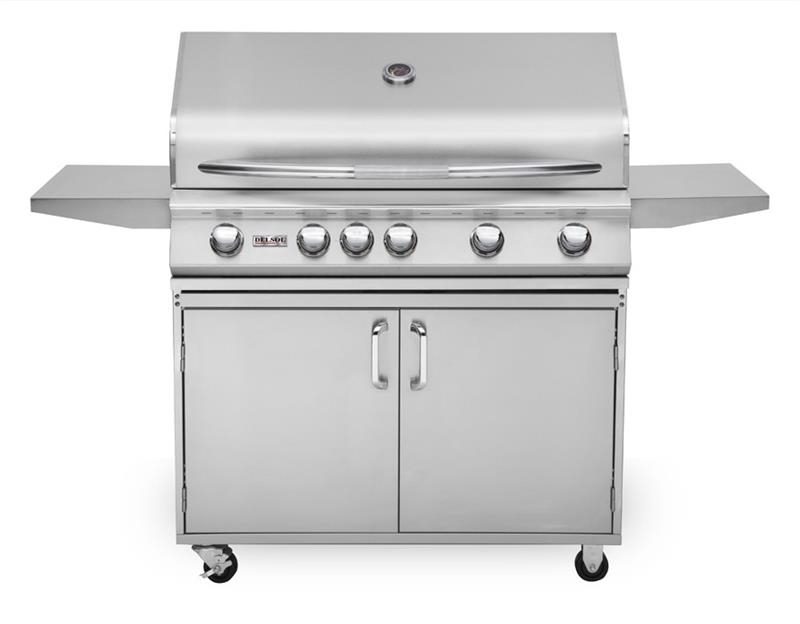 This version is powered by natural gas, but it also comes in a liquid propane version. 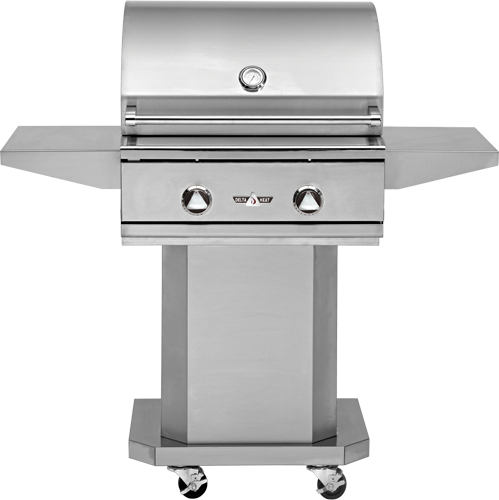 Constructed of 16 gauge, 304 stainless steel, the Angus is highly resistant to rust and corrosion. 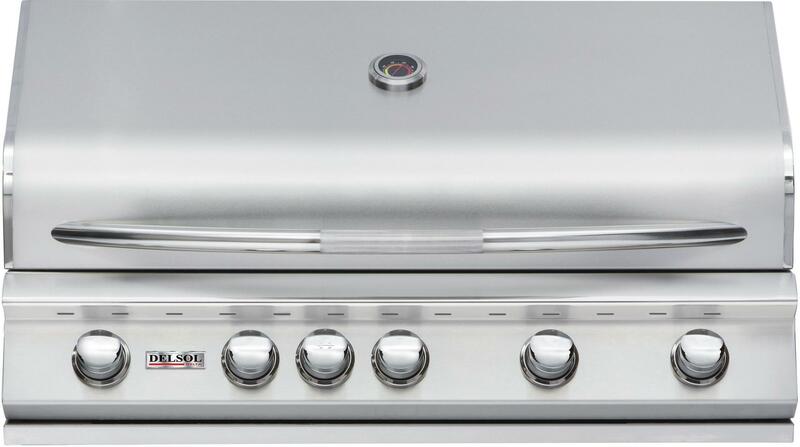 The double-walled roll top hood helps keep heat in, and it will continue looking good through years of use. 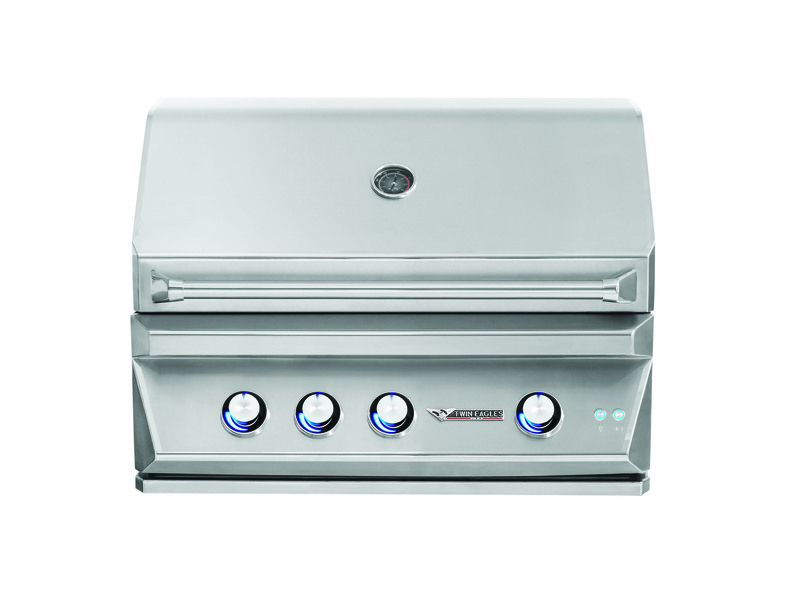 The Angus offers a generous cooking surface with a total of 810 square inches (600 square-inch cooking area, 210 square-inch raised warming rack), and it provides a total of 75,000 BTUs of cooking power from four stainless steel burners (each rated at 15,000 BTUs) plus an infrared back burner (15,000 BTUs). 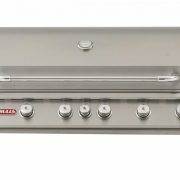 Besides additional BTU power, having more burners will help you better control the level of cooking heat for perfect meat, fish, and veggie dishes. 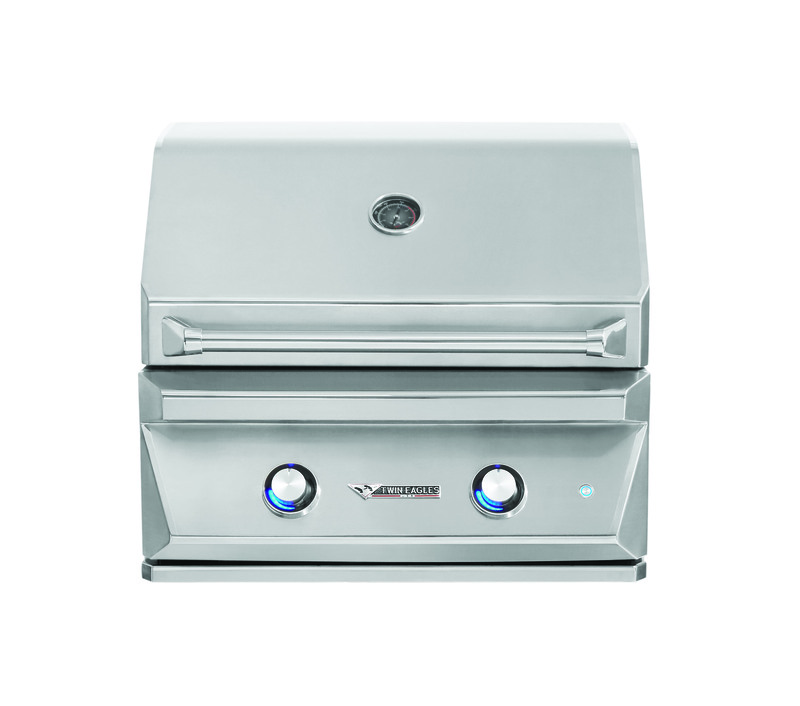 You’ll be able to cook whole birds and other large pieces of meat with the included rotisserie, which is used in conjunction with the rear infrared burner. 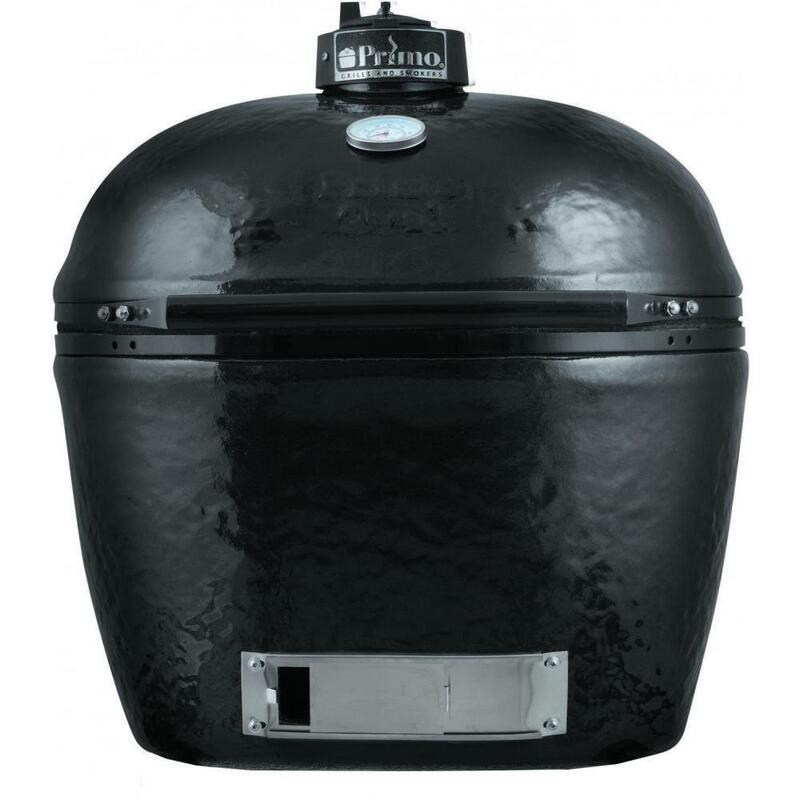 The rotisserie is comprised of a chrome-plated spit and rod, plus a stainless steel motor housing. 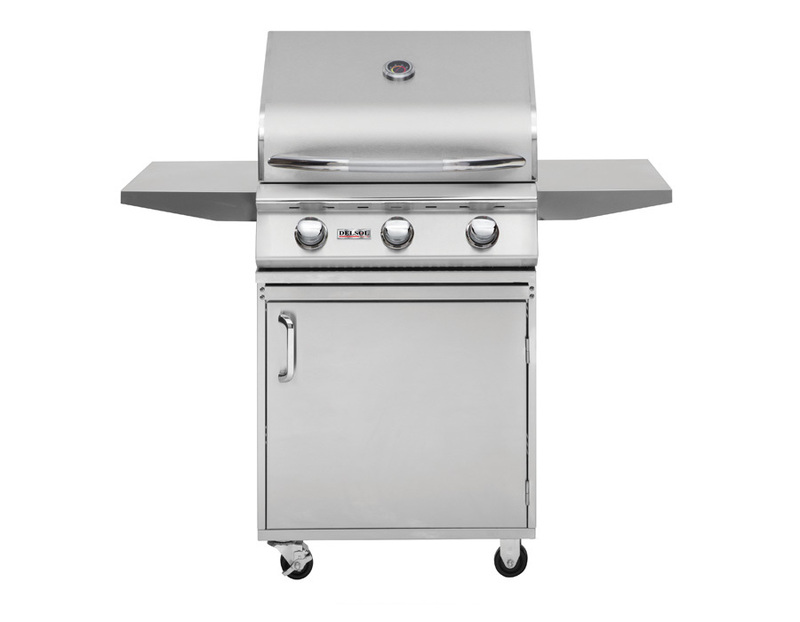 It’s outfitted with a heavy duty thermometer and twin interior lights that are great for monitoring the grill as the sun sets. 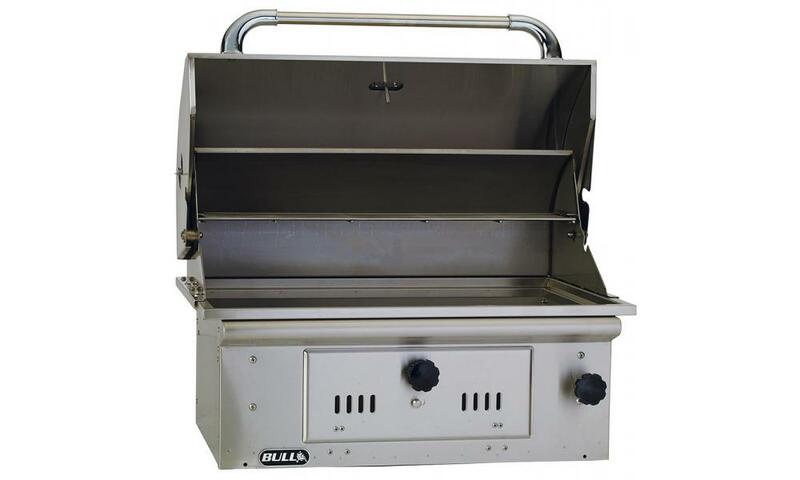 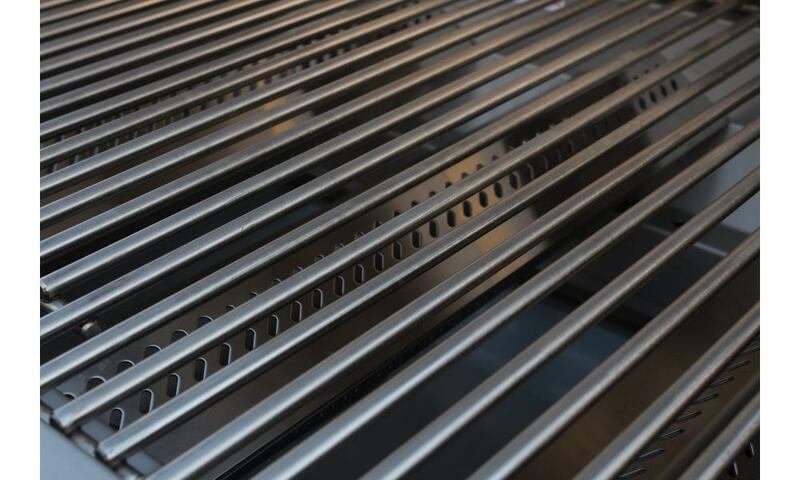 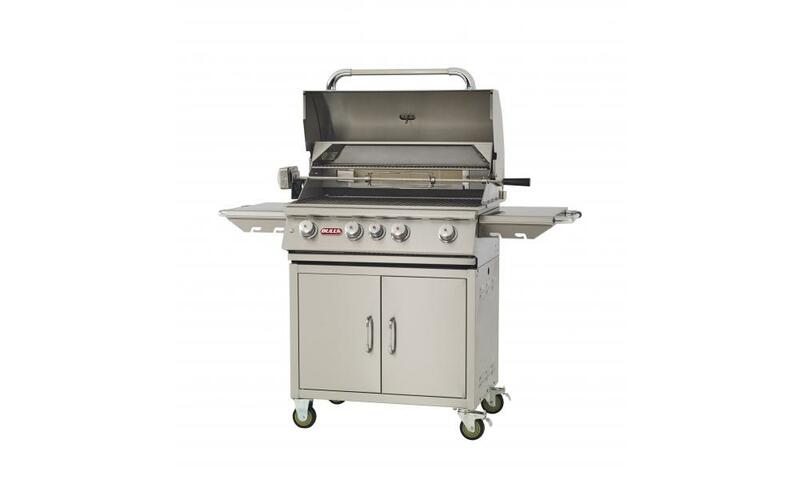 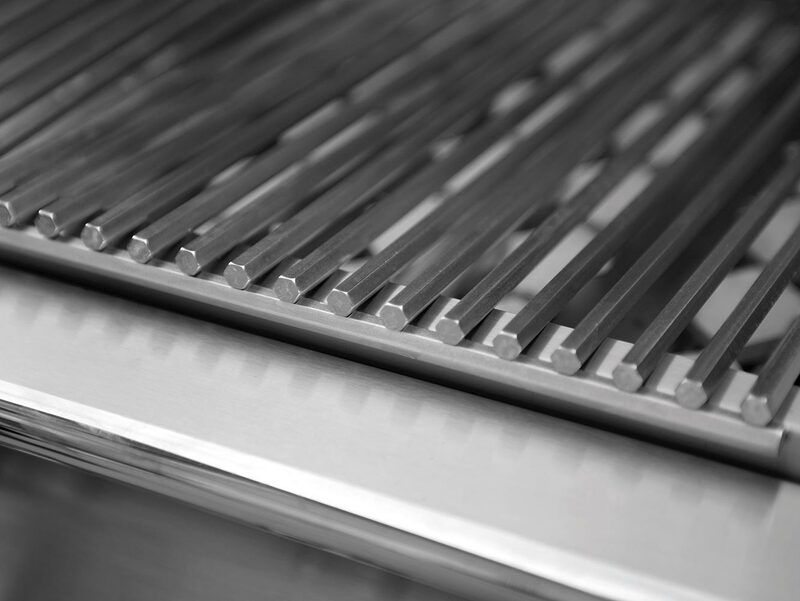 Other features include a full-sized stainless steel drip tray, solid stainless steel cooking grates, full-length stainless steel external handle, and an included natural gas regulator. 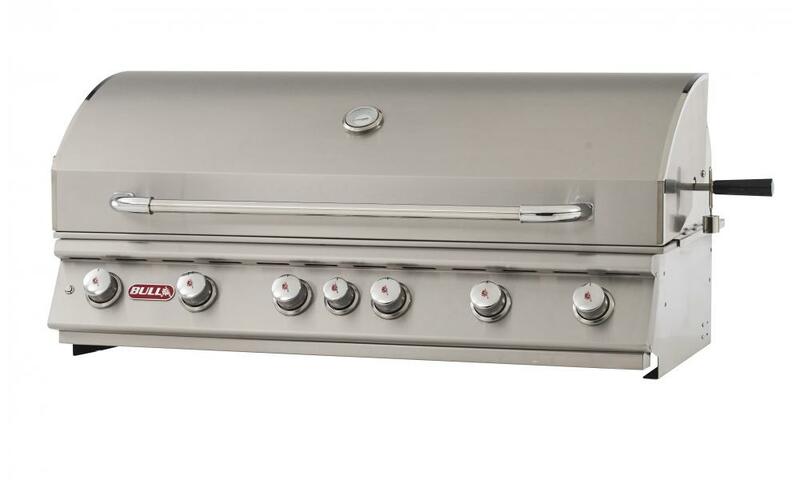 The Angus also has five Sure-Lite gas valves and five push-to-turn knobs with Piezo igniters on every valve.